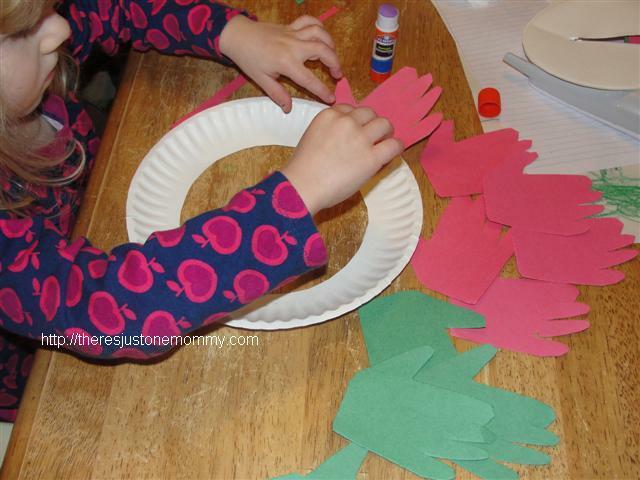 Hand print crafts are simple and fun to do with little ones. Not only that, but if you keep a few, over the years they become precious keepsakes that show you just how much they’ve grown. 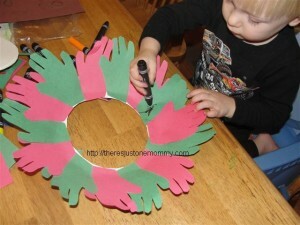 For one of our Christmas crafts we had fun making hand print wreaths. 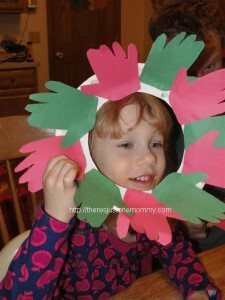 You could make this craft using all green hand prints and then adding red berries or bows to them. 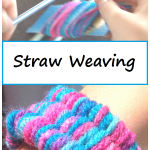 But using red and green paper allows your child to work on simple patterns while they are crafting. Start by tracing your preschooler’s hands. To cut several hands out at one time, stack several sheets of paper up before cutting. You could also have your child cut out several of the handprints. This is a great time to work on more advanced scissor skills. 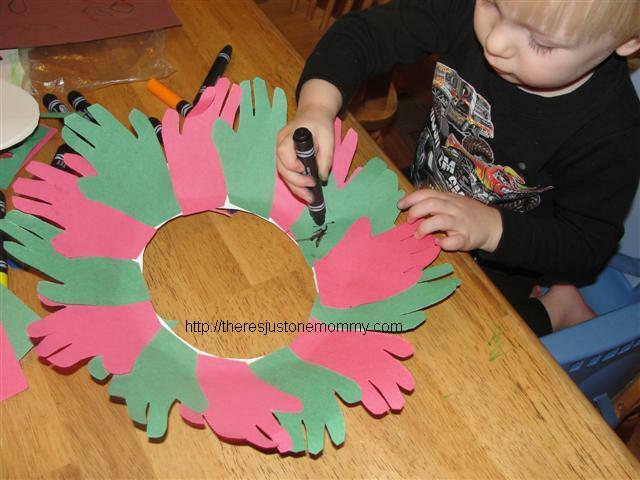 Cut out the inner circle from a paper plate to form the base of your wreath. 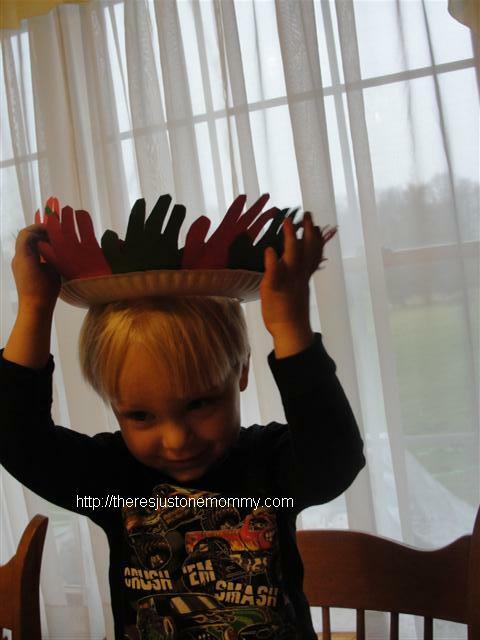 Have your child glue the hand prints onto the plate. 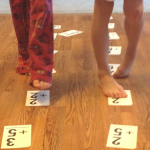 We worked on a simple AB pattern, gluing red, green, red…. You will want to have plenty of handprints cut out before they start gluing. 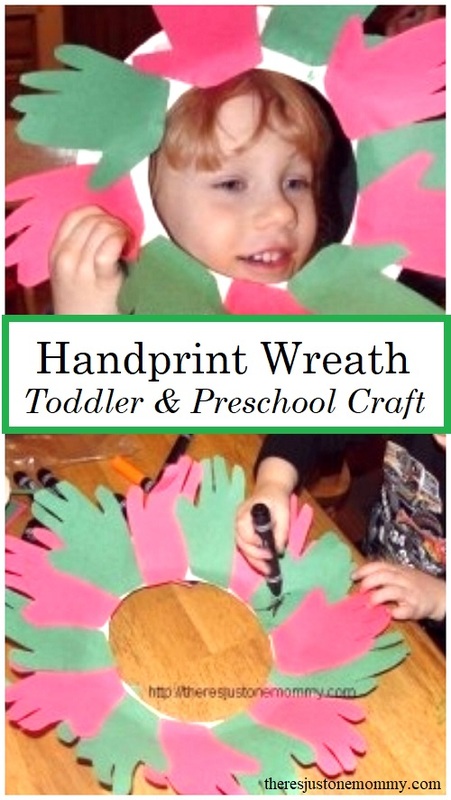 I could barely keep up with my toddler as he grabbed little hand prints to add to his wreath! Make sure your child understand what a wreath is. 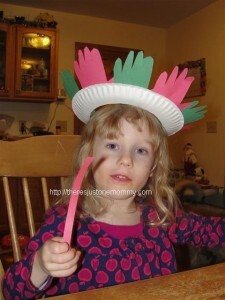 My daughter thought it was supposed to be a fancy Christmas crown, which it actually does look like. …Not to be out done by the queen…. My little King! Just when I thought they couldn’t be any funnier with the wreaths, we had a lion show up! 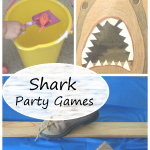 Any craft a kid can play with and be creative with afterward gets points in my book! Our handprint wreaths did make it to the doors, but we chose to hang them from the doorknobs, where they can be easily accessed should there be a need for a fancy hat or lion’s mane in the future. It’s hard to toss anything with their little hand prints on it… They grow up way too fast! I found last year’s turkeys and decided to put them back in the basket I found them in…and I put this year’s in there, too. 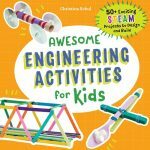 Just perfect for little hands! Love it, so will my Grandson! The more I trace those little hands, the more I love them. These are so sweet! We’ll have to try them. What a great idea…I’ve got little ones. I’ll have to try this out! We love hand-print crafts! These would look great with huge ribbon bows! I love how they used them as hats. How creative!!!!!!!! My daughter actually had her daddy make a paper bow for hers, very cute! Yes, I LOVE how creative they get sometimes!